Charleston is more than just a beautiful house; it is a monument to a bygone movement. 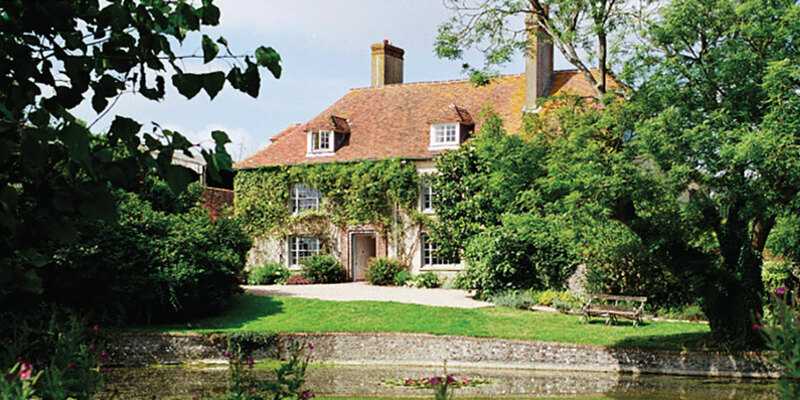 That’s courtesy of its former residents, Vanessa Bell and Duncan Grant who – along with their coterie of bohemian house guests (some semi-permanent) – transformed their rented East Sussex idyll into the living embodiment of the Bloomsbury group, of which they were at the forefront, when they moved in a century ago. Happily cavalier tenants that they were, they took to their brushes, painting its walls, furniture and canvases with swirling motifs and modernist designs. One hundred years later, Charleston – set picturesquely in the shadow of East Sussex’s rolling South Downs – operates as surely one of England’s most intimate and exquisite museums. The frescoes are still in evidence – but that’s not without much careful attention from a raft of careful experts. Now Charleston is calling for support to raise funds to restore the paintwork to its former, unfaded glory and cover up the cracks that are starting to form. Need inspiration to donate and the Bloomsbury dream alive? Tune into Life in Squares, the BBC drama airing this autumn starring Phoebe Fox and James Norton, which tells the story of the extraorindary lives of the louche-living Bloomsbury group – part set at Charleston.